UP Assistant Teacher Recruitment Exam 2018-19 will have many changes in terms of syllabus and exam pattern. Earlier, basically the recruitment exam was conducted in the form of a written test. However, the exam conducting authority, UPSESSB, has changed the exam pattern, and all the questions in UP assistant teacher recruitment exam will be MCQ-based (Multiple Choice Question). The exam authority will definitely determine the cutoff for UP assistant recruitment exam 2018-19 only after the announcement of results. The exam authority has come up with different changes to prevent cheating, malpractices, or any other irregularity in the exam process. Other details will be released by UPSESSB, along with the official notification for UP assistant teacher recruitment exam 2018-19 and the official dates for UP assistant teacher recruitment exam 2018-19 have been released. UPSESSB has released the important dates for UP Assistant Teacher Recruitment Exam 2018. Aspirants can check the important dates here. Publication of official notification for UP Assistant Teacher Recruitment Exam 2018- 5th December 2018. Commencement of online application form for UP Assistant Teacher Recruitment Exam 2018- 6th December 2018. Deadline to submit the online application form for UP Assistant Teacher Recruitment Exam 2018- 20th December 2018. Availability of UP Assistant Teacher Recruitment exam online Admit Card 2018- 10 days before the exam date. UP Assistant Teacher Recruitment Exam 2018-19 Exam Date- 6th January 2019. Publications of results for UP Assistant Teacher Recruitment Exam 2018-19- 22th January, 2019. According to sources, UPSESSB is expected to issue notification for the recruitment of 69000 Assistant Teacher posts in Government Schools across Uttar Pradesh. However, the board has not announced the vacancy details officially. The official recruitment of UP assistant teacher recruitment exam 2018-19 will have exact vacancy details. Aspirants must note that the official notification for UP assistant teacher recruitment exam is expected to be out on December 05, 2018, and the exact vacancy details will available here soon. Qualifying Exam: Candidates who have cleared UPTET (class 1 to 5) exam only are eligible to register for UP assistant teacher recruitment exam 2018. Candidates who have cleared UP TET 2018 and also UPTET in the last five years can register for the recruitment exam. Educational Qualification: Apart from UPTET eligibility, the applicants of UP assistant teacher recruitment exam 2018-19 must have passed Diploma in Elementary Education (D.El.Ed)/Bachelor of Elementary Education (B.El.Ed) with at least 50 percent of marks. As per the latest rules of NCTE, candidates who have passed B.Ed (Bachelor in Education) can also apply for Assistant Teacher Posts in Uttar Pradesh. Candidates with B.Ed qualification must note that they must have qualified UPTET conducted for class 1 to 5 teachers only. There is a lower and upper age limit for UP assistant teacher recruitment exam 2018-19. The applicants mandatory have a minimum of 21 years of age to register for the recruitment exam while the upper age limit for general category candidates is 40 years. Candidates who belonging to ST/SC categories have 5 years relaxation in the upper age limit while OBC candidates have 3 years relaxation. Candidate belongs from PWD category have 10 years relaxation in the upper age limit for UP assistant teacher recruitment exam 2018-19. Only Uttar Pradesh eligible aspirants may register for Uttar Pradesh Assistant Teacher Recruitment Exam 2018-19. Eligible aspirants may apply for UP assistant teacher recruitment exam 2018-19 through the official website of UPSESSB or UP Basic Education Board. The link to fill the online application form for this exam 2018-19 is expected to be activated on December 06, 2018. Once the online applications links active, candidates can visit the website to submit the online application form. More or other details with regard to the online application form and detailed instructions for UP assistant teacher recruitment exam 2018-19 will definitely updated soon. 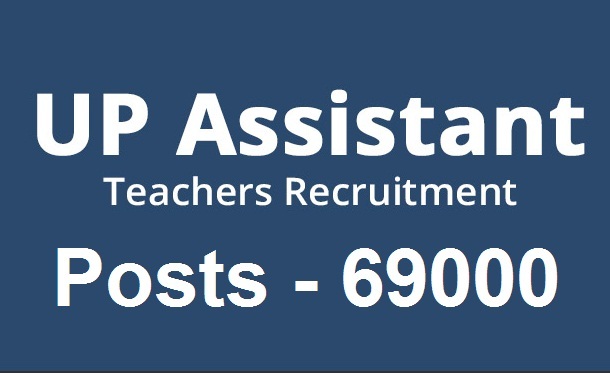 How to Apply for Uttar Pradesh Assistant Teacher Recruitment Exam 2018-19? Before filling the online application for the exam, the candidates are advised to read the instructions for filling the online application form, which is available/printed in the official notification. Candidates must have to visit the official website to submit the application form. The link for the submission of online application form will be active on the UPSESSB or UP Basis Education Board website from December 06, 2018 to December 20, 2018. After opening the official website, the candidates must have to click on the link that indicates UP Assistant Teacher Recruitment Exam 2018-19 or Submit Online Application for UP Assistant Teacher Recruitment Exam 2018-19. It is mandatory to enter the hall ticket number or UP TET admit card. Candidates must have to fill all the details in the specified columns with correct information. Upload the scanned image of passport size signature and photograph. Candidates should submit the online application form and take the printout of the same. Pay the application/exam fee for that particular exam. Candidates belonging to General and OBC have to pay Rupees 600. Candidates belong to SC and ST has to pay Rupees 400.